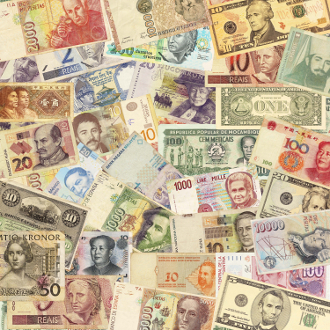 Along with the global reserve currency (US Dollar), there are also other regional and international reserve countries. In 1978, the nine members of the European Community ratified a plan for the creation of the European Monetary System managed by the European Fund of the Monetary Cooperation. In 1999, the eleven countries which constituted the so-called Euro zone, had implemented the transition to the common European currency - the Euro. By 2004, there were twenty-two countries and territories which now list the Euro as their currency. They are: Andorra, Austria, Belgium, Finland, France, French Guyana, Germany, Greece, Guadaloupe, Ireland, Italy, Luxembourg, Martinique, Mayotte, Monaco, Netherlands, Portugal, Reunion, St. Pierre and Miquelon, San Marino, Spain, and the Holy See (Vatican City State). The Euro bills are issued in denominations of 5, 10, 20, 50, 100, 200, and 500 Euros. Coins are issued in denominations of 1 and 2 Euros, and 50, 20, 10, 5, 2, and 1 cent. The Euro is a regional reserve currency for the Euro zone countries and the Japanese Yen is the reserve currency for the countries of Southeast Asia. The portfolio of reserve currencies may change depending on specific international conditions, to include the Swiss Franc. Intervention occurs when one or more Central Banks buys one currency and sells another. 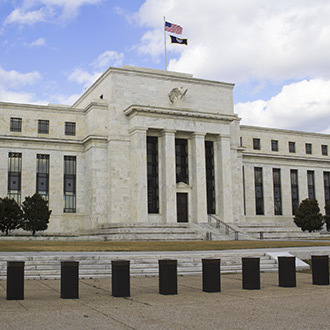 Intervention in the foreign exchange markets by the central banks of the world's largest economies is geared toward restoring orderly conditions in the market or influencing the exchange rates. Intervention often occurs when a government becomes increasingly worried about the value of its currency (becoming either too strong or too weak) against other major currencies. This was very visible in the case of the relationship between the US Dollar and the Japanese Yen. In the mid 1990’s, the Japanese Yen had become increasingly strong against the US Dollar, and at an alarming rate. The Bank of Japan, the US Federal Reserve and other central banks intervened in the market to buy US Dollars against the Yen, in order to slow the rate at which the Yen gained value. Although intervention is not always an effective tool to reverse the direction of a currency pair's relationship, it often has short-term effects and also serves to let the market in general know that governments will take steps to stem the fall (or rise) of their currencies in relation to others. The damage that a quickly rising Yen had to the Japanese economy at the time was that since Japan is a net exporter (especially to the US), the value of the foreign money that was being paid to its large corporations was declining substantially, resulting in large losses and failed companies. Orderly movements in the relations between currencies is most desirable to governments, as it allows all involved (Japanese exporters in the example above) to prepare for such movements and make adjustments as necessary. Intervention occurs when one or more Central Banks buys one currency and sells another. This is done through the major banks of the world who have a long-standing relationship with their Central Banks. It is usually done in waves, which occur over the course of several hours or days at a time. Central Banks are often rumored to be "sitting" at certain levels. This means they are basically taking a stand at a level in the FX market, where they will leave a sizable order to buy (or sell). Depending on the circumstances, these levels are often "leaked" to the market to let the traders know ahead of time that the intervention will happen. This serves two purposes: a) traders will try to "go with" the Central Bank, increasing the amount of currency that is dealing at that level and enhancing the effects; and b) to let the market know that the Central Bank has set a level at which it will take its stand and the potential for losses for those who try to "break the bank" can be considerable. Taking on a Central Bank can be profitable for professional traders who deal in very large sizes, but for the vast majority, it is a losing game. Rumors of Central Bank intervention levels are often enough to make most traders get out of their positions, or take positions they would not normally take. Naked intervention, or unspecialized intervention, refers to the sole activity of a Central Bank intervening in the market. In addition to the impact on the foreign exchange market, there is also a monetary effect on the money supply. If the money supply is impacted, then consequent adjustments must be made in interest rates, in prices, and at all levels of the economy. Therefore, a naked foreign exchange intervention has a long-term effect. Sterilized intervention neutralizes its impact on the money supply. As there are few Central Banks that want the impact of their intervention in the foreign exchange markets to affect all corners of their economy, sterilized interventions have been the tool of choice. The sterilized intervention involves an additional step to the original currency transaction. This step consists of a sale of government securities that offsets the reserve addition that occurs due to the intervention. It may be easier to visualize it if you think that the Central Bank will finance the sale of a currency through the sale of a number of government securities. Because a sterilized intervention only generates an impact on the supply and demand of a certain currency, its impact will tend to have a short-term to medium-term effect.